Pokemon seems to be a phase that everyone goes through at some point in their life (except for me because I think it may have been born when I was into punk rock music and thought I was too tough to like cute little kid stuff). Zen and Isabelle went through a pokemon stage a few years ago, and like most stages it faded away, and the Phamphey and Piplup jackets I made them went unworn. Then all of a sudden, after I had basically forgotten what the word pokemon meant, they came back to life–like little cute supernatural zombie creatures! Now all I hear about is charmander and houdour and celebi. 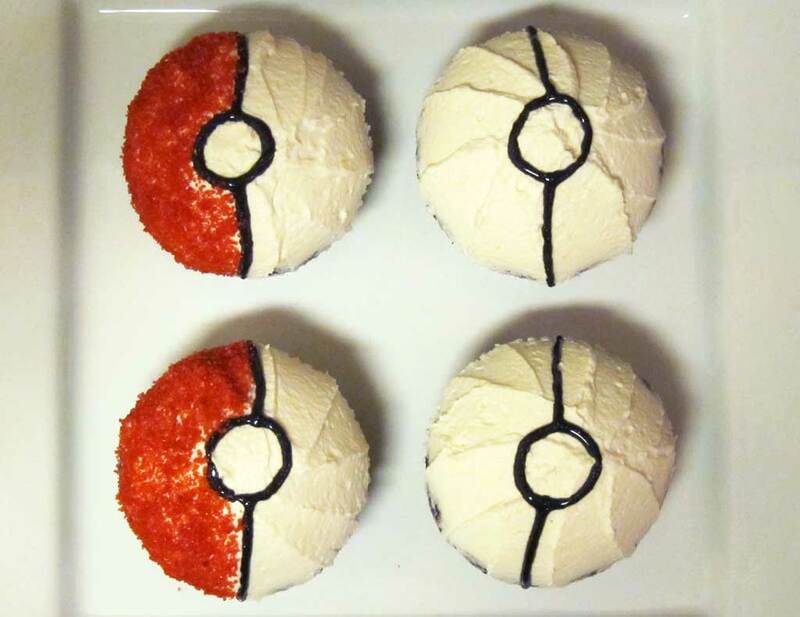 So, it wasn’t a huge surprise when I asked what kind of cupcakes Isabelle and Ashleigh wanted for their 12th birthday dance party, and they said the theme was pokemon. 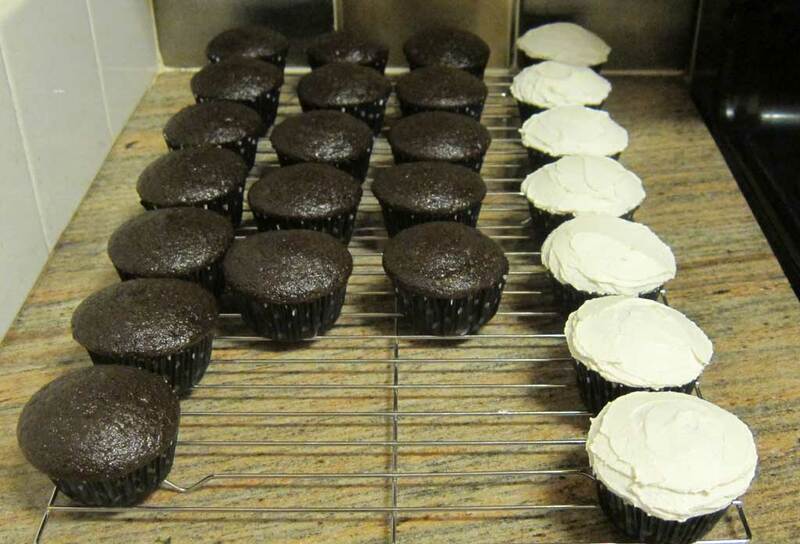 Since they didn’t mind what flavor the cupcakes were, I made chocolate cupcakes with vanilla-almond icing. 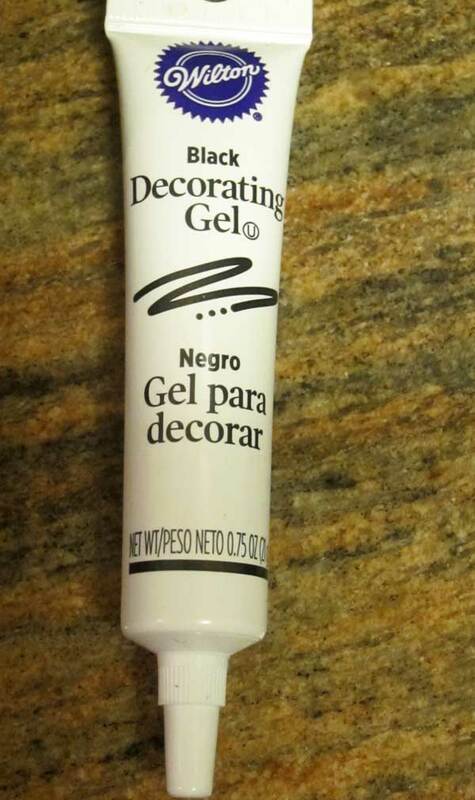 Isabelle had this black decorating icing leftover from her super cute Halloween Jack Skellington cupcakes that happens to be vegan by default (but not good for you, so use it sparingly). 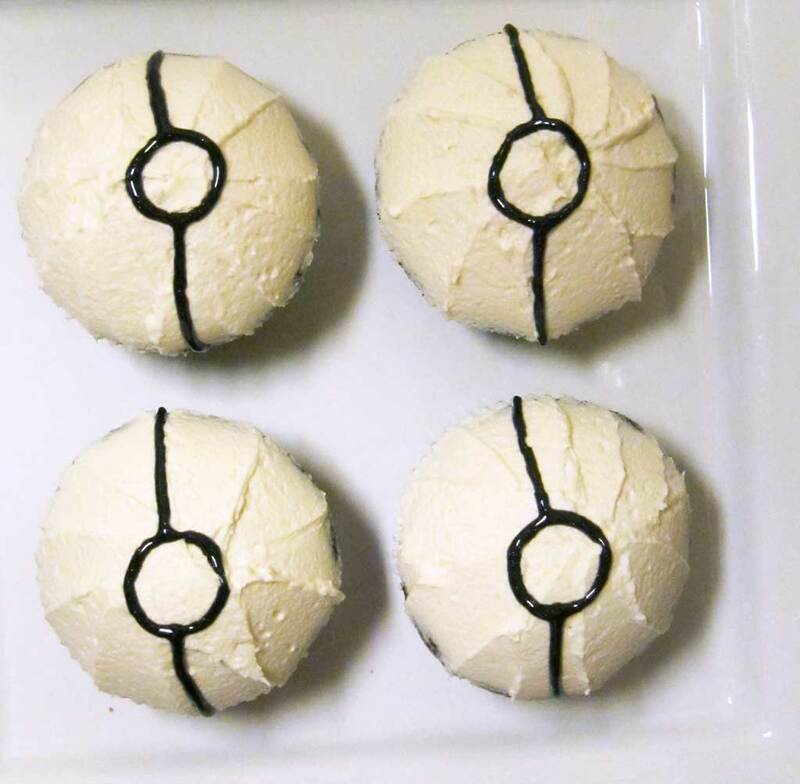 The first step of making pokeballs is to make a premier ball. If you have any pokemon fans in your life, you may have been told what a premier ball is. If your attention span all of a sudden reduces from 1 hour to 2.3 seconds when someone starts talking about pokemon like mine does, then you probably don’t remember what the difference between a regular pokeball and a premier ball is. 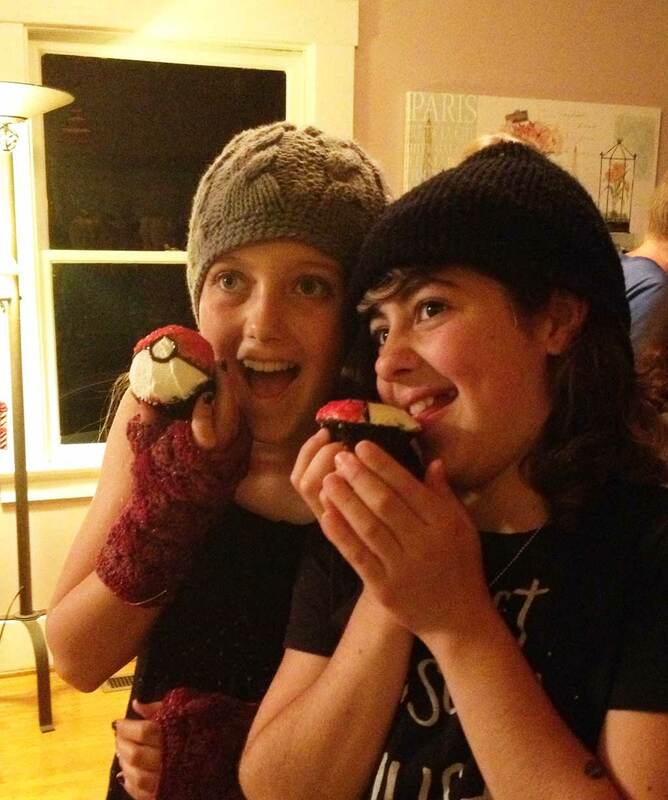 I left one of the pokeballs as a premier ball because one of Isabelle and Ashleigh’s friends doesn’t eat red food coloring, so she got a special premier ball at the party. 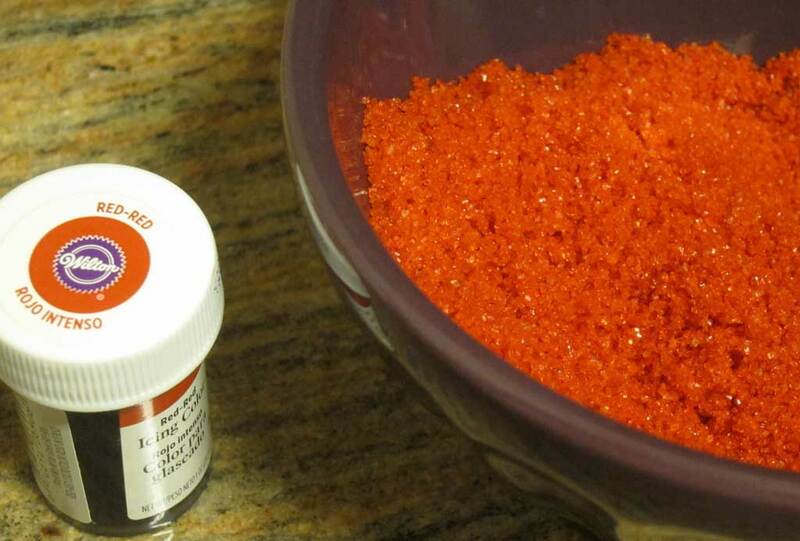 You can buy red sugar from the store. I didn’t. 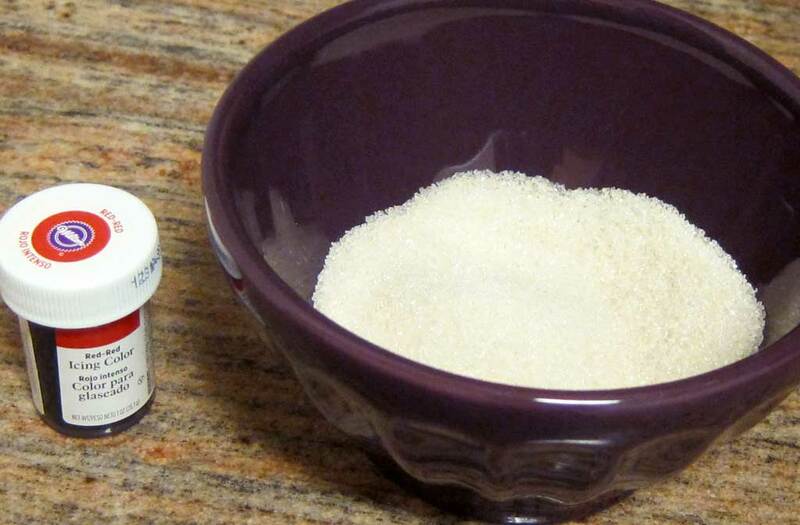 I like my organic raw, unbleached sugar, so I made my own red sugar. 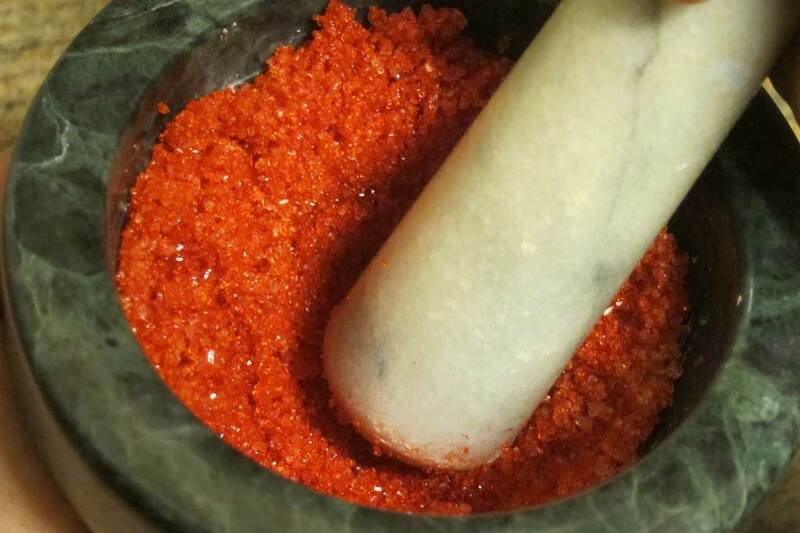 If you don’t have a mortar and pestle, you can just use a spoon and a bowl. 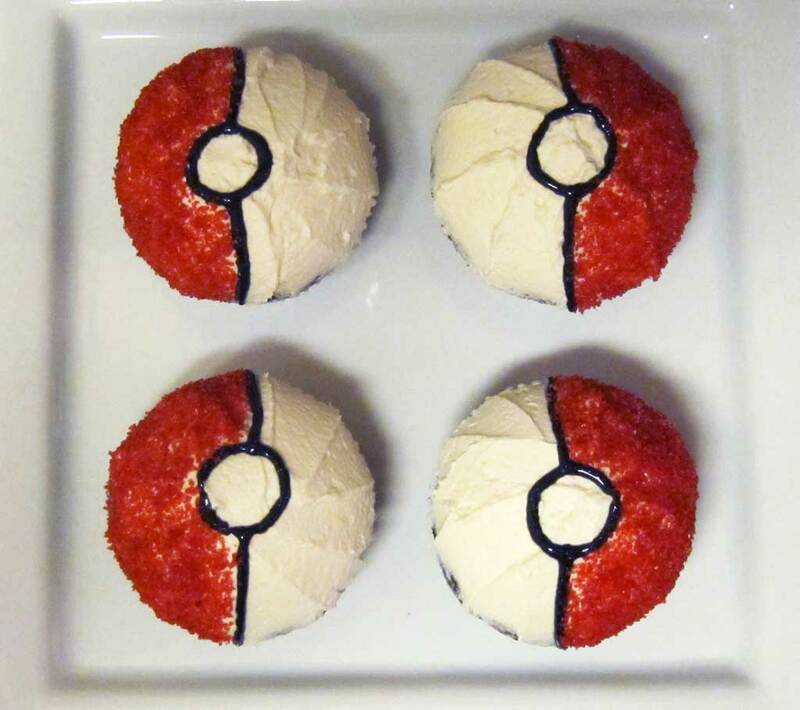 I applied the red sugar to the pokeballs by spooning on spoonfuls while tilting the cupcakes over the bowl. Here are the birthday girls with their cupcakes.